In the 1820s the 19-foot wide house at No. 75 Franklin Street was home to the Rev. David Patterson. Described by The Magazine of the Reformed Dutch Church in 1829 as a “very able and successful teacher of the Classical Department of the school,” he was also an author of educational texts. That year he had published Caesar’s Commetaries and earlier the Greek Reader. But before the outbreak of Civil War, Patterson’s neighborhood would drastically change. Before things got to that point, however, Eliza had already addressed the improvement of No. 75 Franklin Street. The Rev. Patterson’s former house was demolished in 1864 and a three-story commercial building was completed a year later on the site. The building filled with textile firms. Among the tenants here in 1877 was Charles Kohlman & Co, Inc. The company was a converter of cotton goods. That year saw one of the nation’s most violent, deadly and expensive labor events in history—the Great Railroad Strike of 1877, or the Great Upheaval. The 45-day confrontation was not organized by labor unions; but was a series of spontaneous outbreaks in various cities resulting in violence against the railroads. It was finally ended by Federal troops and local and state militia after terrifying carnage, loss of life and property. When the smoke cleared and the debris removed, manufacturers and suppliers tallied their losses and sought restitution. On April 8, 1878 Charles Kohlman joined 38 other New York City firms filing suit against the Pennsylvania Railroad. 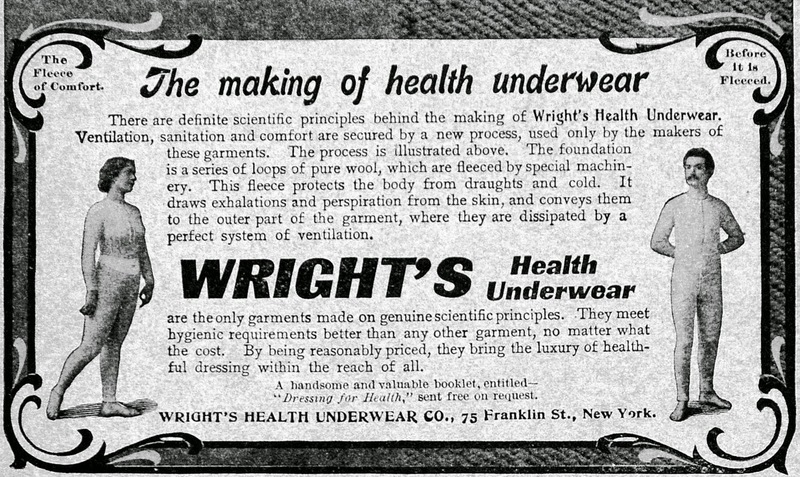 Included in the more than $60,000 damages was Charles Kohlman claim for $1,190.13—about $29,000 worth of cotton fabric in today's dollars. About the time that Abraham Eisenman established his suspender factory in the building, it was enlarged to the rear and got a facelift. While other structures in the neighborhood were faced in limestone, marble or cast iron, the owner of No. 75 decided on a more economic brick façade with a cast iron storefront. The resulting Romanesque Revival façade was straight forward and attractive. Two-story pilasters separated the openings. The architect used bull-nosed bricks to round the edges, providing visual interest. Abraham Eiseman’s suspender shop was a small operation He employed just two men and two women; but he got his money’s worth from them. In 1895 they each worked an average of 51.5 hours per week. The Indiana-based furniture company, Hoosier Manufacturing Co. was founded in 1899 and opened its branch office in the building. The firm’s name would forever be remembered in its most iconic item—the multi-purpose kitchen piece known as the Hoosier Cabinet. By now the building was owned by the Denison P. Chesebro ladder manufacturing company. The ground floor retail space housed a small restaurant that catered to the many factory workers along the block. Upstairs the Wright Health Underwear Company’s salesrooms shared space with other clothing firms. The building continued to house garment firms throughout the first decades of the century, including Timmerman Co., brokers of “plain cloths, fine and heavy fancies, and silks and cottons,” and Brown, Norton & Co., cotton goods converters who would remain well into the 1920s. The leasing of the ground floor to a bookstore in 1914 was the foreshadowing of things to come. Throughout much of the 20th century the building was used by a printing and stationery concern for its warehouse and offices. The gritty, sooty Tribeca area, where delivery trucks rumbled below the windows of overheated factory lofts was reinvented in the late 20th century. Vast loft spaces were transformed to luxury residences and the showrooms and shops became trendy restaurants, galleries, and stores. Around 2010 Billy’s Bakery, already famous in the Chelsea neighborhood for its gourmet cupcakes, moved into the retail space at No. 75. Overall little has changed to the outward appearance of the building since its 1890s makeover. An amazing history and magnificently written!